A quick view of the most influential metrics in Bethpage. Bethpage is a medium-sized hamlet located on Long Island, New York in the town of Oyster Bay, in Nassau County. It has five neighborhoods and is the 113th largest community in the state of New York. Surrounding communities to Bethpage are Farmingdale, Plainview, Hicksville, Seaford and others. It is predominantly a white-collar community and has a white-collar workforce. In fact, over 85% of the workforce is white-collar. It is an upper-middle class community in comparison to both state and national economic standards and nearly 37% of all adults in the hamlet hold four-year degrees or higher. It is somewhat ethnically and racially diverse and a very warm and welcoming community. English remains the primary language here, but many residents also speak Spanish and Italian. It is primarily residential so much of the workforce is employed outside the hamlet. Public transportation is a popular commuting solution and commuter trains are the most common form. 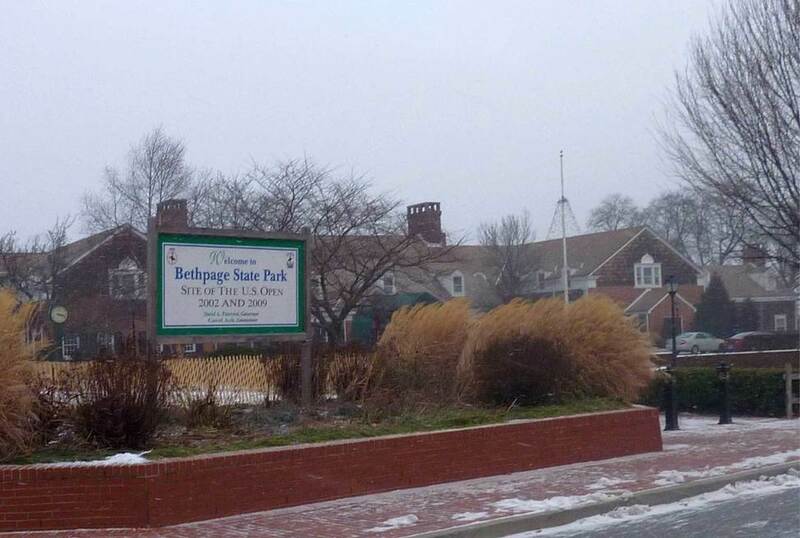 Average commute times for residents of Bethpage are approximately 31 minutes. The hamlet is a good stable community blessed with high rates of home-ownership, low crime rates, good schools and quiet streets. The area was originally inhabited by native tribes like the Secatog, Massapequa, and Mantinock. Thomas Powell was one of the first settlers. Powell bought lands from the native tribes and gave them the name Bethphage, which means "house of figs." Other settlers arrived and over time misspelled the area's name as "Bethpage" and the name stuck. Powell continued to purchase lands which he divided among his fifteen children. These collective land are most of what is the modern day community of Bethpage. The first railroad station was built in the area in 1850 in the community of Jerusalem. It was not until 1884 that the Long Island Railroad came through Bethpage. With the arrival of the railroad, the community flourished and grew over time becoming the community we see today. The hamlet spans 3.6 square miles. In 2010, the population was 16,429 and the population density was 4,527 people per square mile. In the same year, the median household income was $70,173, the median family income was $78,573 and the per capita income was $27,850. By 2013, the hamlet had a mean housing price on all units of approximately $521,906 and the median gross rent was $1,625. Businesses headquartered in Bethpage include Logitag, Cablevision, Best Yet Market, King Kullen and a sorting facility of the USPS. The hamlet is also the home of Grumman, an aeronautics plant, and builder of the Apollo Lunar Modules. Public education in the hamlet is provided by the schools of the Bethpage Union Free School District. Local schools include Bethpage Senior High, Boulevard Elementary, John F. Kennedy Middle School and others. Also, located in the hamlet is Bethpage State Park which features five golf courses. Today it is a quiet bedroom community blessed with an excellent school system, loads of small town charms, but conveniently located near big city opportunities. Homes for sale come in a variety of sizes and styles to suit buyers. Other real estate options include rental and lease properties such as apartments, condominiums and more. To begin your home search in Bethpage, call local real estate agent (insert name here) at (insert number here) today. View our selection of available properties in the Bethpage area. Check out the latest demographic information available for Bethpage. Learn more about schools near Bethpage complete with ratings and contact information. Browse through the top rated businesses in the most popular categories Bethpage has to offer.